Your search is over! This spacious 5 bedrooms, 3 baths POOL HOME is located in the sought after Pembroke at Vista Lakes Village. The home features a bright open floor plan which includes separate living, dining and family rooms. The homes large eat-in-kitchen features 42” birch cabinets, build-in-desk, breakfast bar and closet pantry. The kitchen opens to the family room which makes the home great for entertaining. Three sets of sliders lead out to the homes absolutely stunning custom pool, covered and screened lanai and outdoor kitchen. Enjoy complete privacy with the fully fenced yard. The large Master Suite is located on the 2nd floor and the private bath has dual sinks, garden tub and separate shower. There are three additional bedrooms located on the 2nd floor with the 2nd bath having dual sinks and combination tub/shower. The 5th bedroom is located on the 1st floor along with the 3rd full bath which is great for guests. The 3rd bathroom also serves as a pool bath. Some additional features include: New exterior paint, New Carpet, Fresh neutral interior paint, Upgraded tile and laminate flooring throughout living areas, Interior laundry room with built in cabinetry and Paver patio. 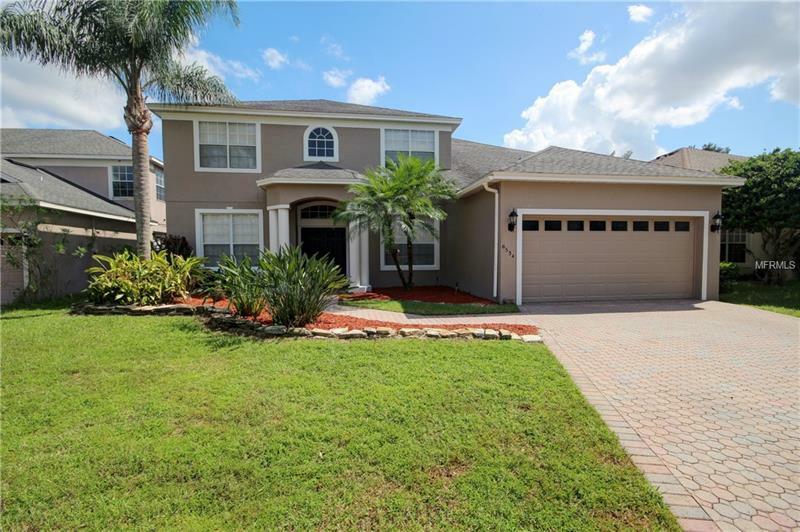 This home is the definition of Move-in-ready and is located close to the Orlando International Airport, the Medical City, VA Hospital, Valencia College, shopping and schools. Call today to set up your appointment.